Sclerotherapy is A popular treatment option for veins on the legs. It is used to treat spider and varicose veins on the legs and spider veins on the face. After treatment, most patients can expect to see an 80 to 90 percent improvement. This may require several treatments. Fading is gradual and occurs over a period of time. While generally spider veins completely disappear, new spider veins can appear in the same general area. It is possible for large veins to recur. 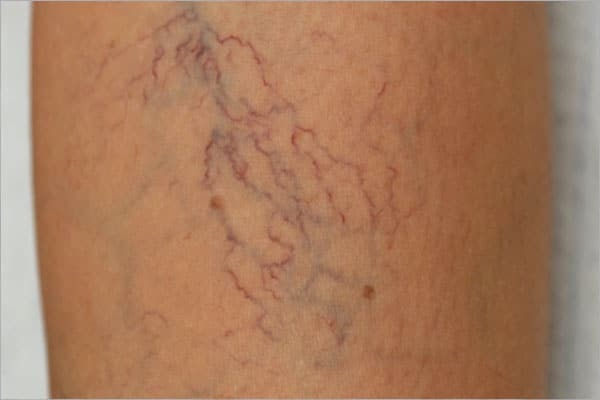 Sometimes spider veins also recur. How Can Laser Treat Spider & Varicose Veins? Lasers are used to treat spider vein/ varicose veins on the legs, and spider veins on the face.